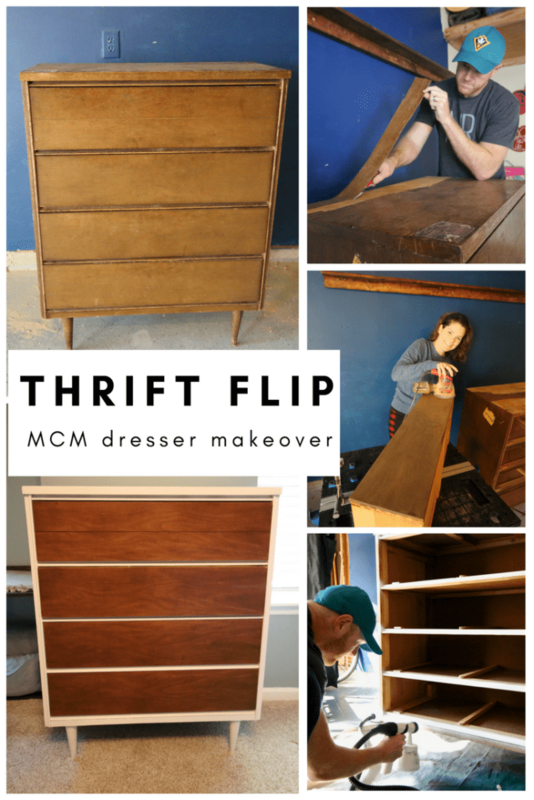 Though we have done a ton of different types of DIY projects, I think that thrift flipping furniture will always be my favorite. 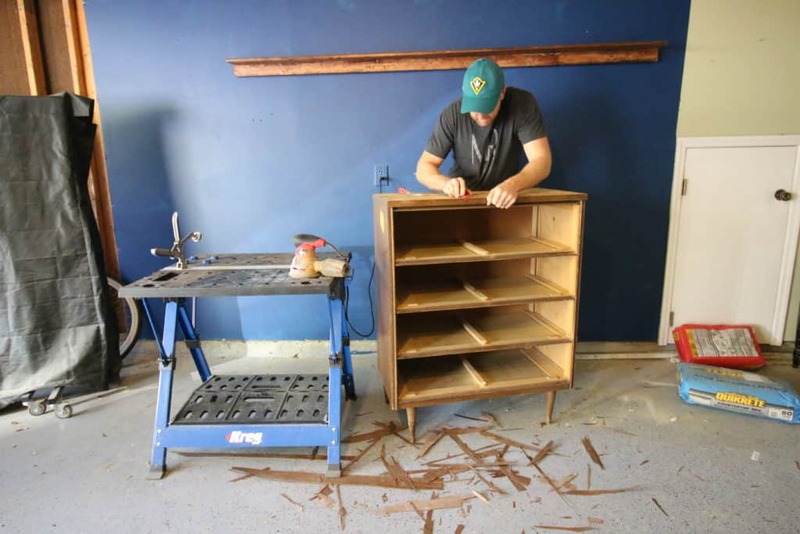 It really takes so little effort and supplies to completely transform and reinvigorate a good piece of furniture. 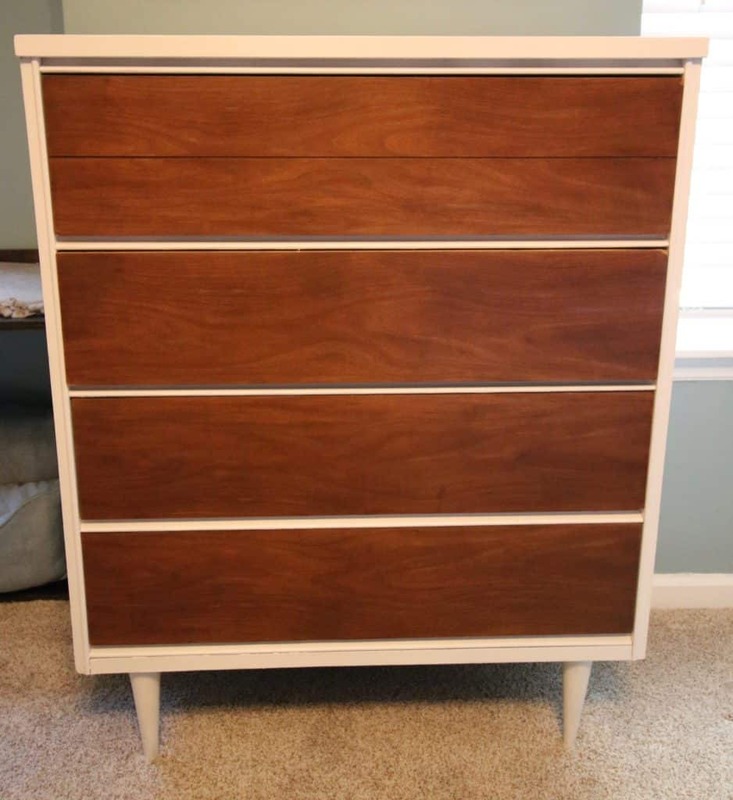 I have been looking for a second dresser for our bedroom for a while now, waiting for just the right piece. 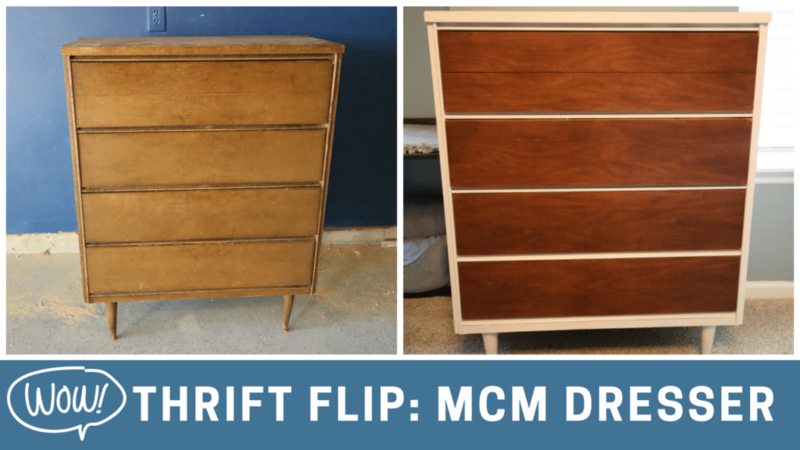 I was thrilled to find this mid century modern 4 drawer tall dresser on Craigslist for $100. 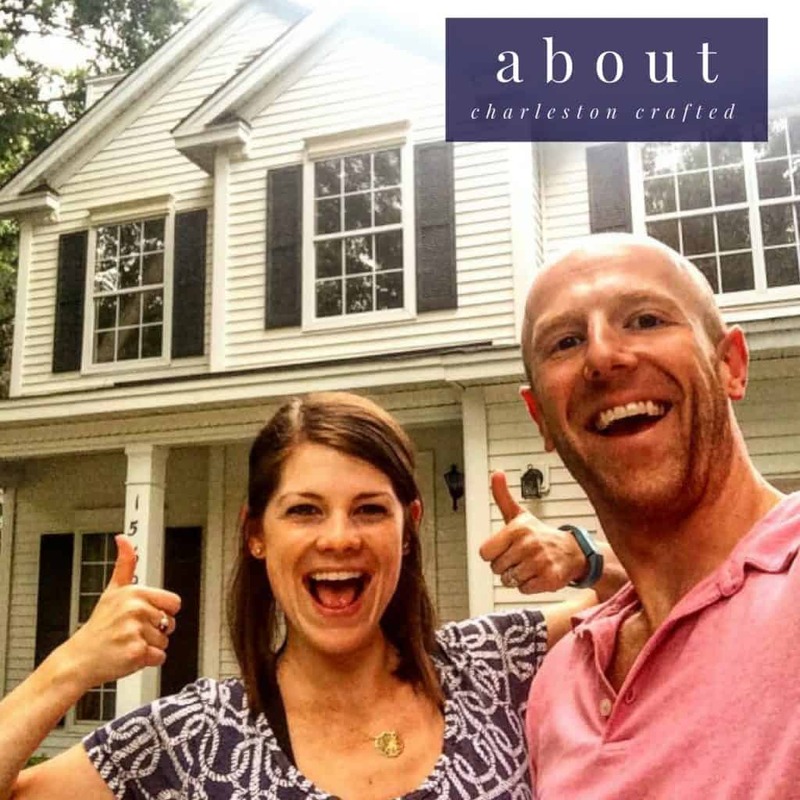 I texted and offered $70 and he accepted without even haggling – so it shows that it never hurts to throw out an offer! The dresser itself was gorgeous, streamline, and very modern. The drawers are solid wood but the base is covered in veneer. The vener, especially on the top, was really cracked, bubbled, and damaged. We don’t know how to replace veneer (though I would like to learn how, my vanity is looking pretty worse for the wear). 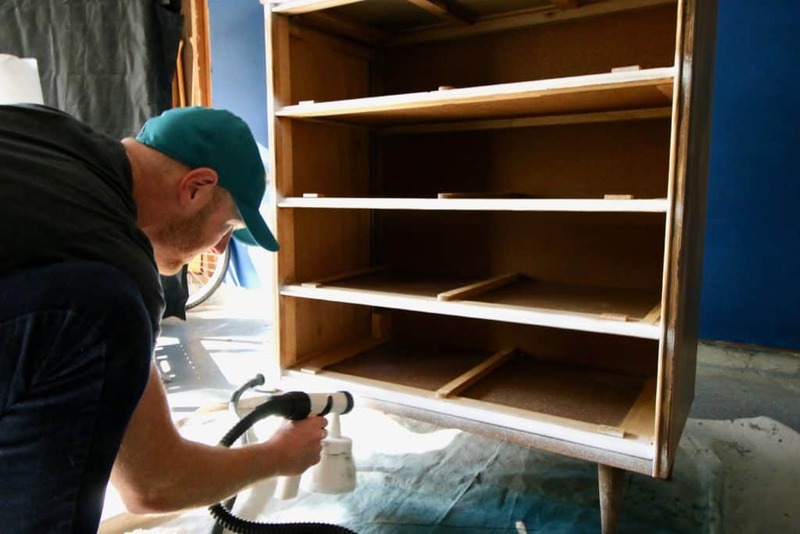 So, we decided to paint the outer case of the base and preserve the gorgeous wood on the drawer fronts. 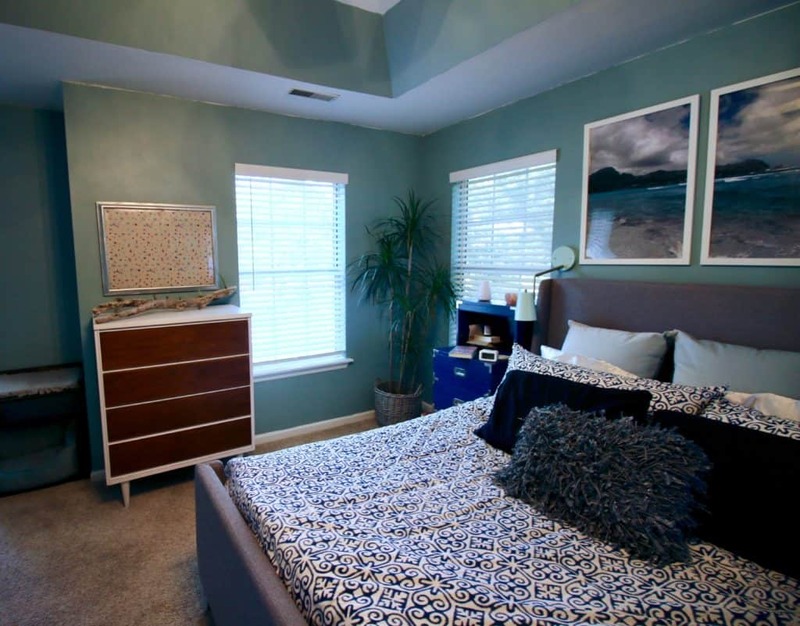 The paint color that we used is Behr’s Nimbus Cloud in an eggshell finish. It’s leftover paint from our Laundry Room and it’s a very nice cool white. We sprayed it on with our paint sprayer for a really clean finish. I was planning to stain the drawer fronts, but once I sanded them down, I loved the look of the wood grain. 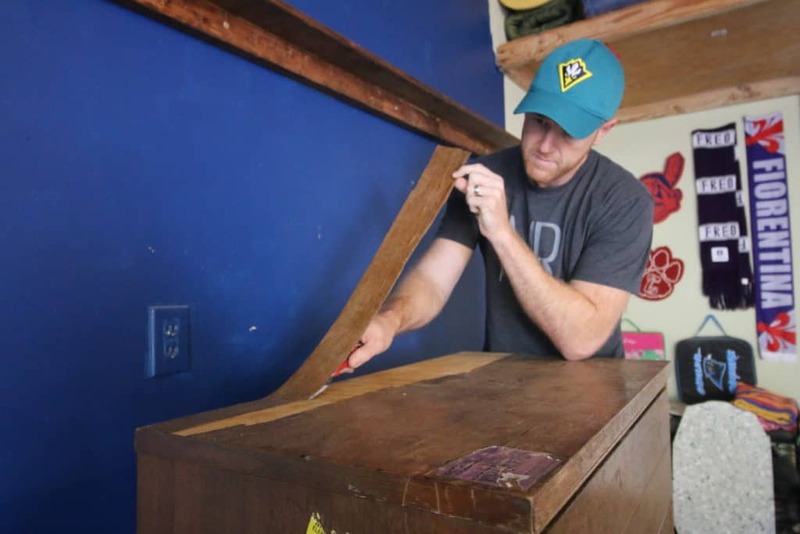 A great tip is to wipe wood with a wet towel to get an idea of how it would look with poly on it. I loved the look so I just gave the drawers (and the whole painted body) 2 coats of matte poly. This dresser now holds all of my shorts (I have… a lot) and Sean’s sweat pants and pajama pants. We can now get rid of the random old dresser shoved in the corner of the guest room and I am very excited about cleaning up that space. Have you been transforming anything lately?